There is a great competition in video marketing in this digital world. Video marketing become the powerful strategy in the marketing and to increase the growth of the company. So, there is a great need of video marketing professionals for the companies to patch up the things in their marketing strategies. A good video marketing professional only can guide the marketing for the companies from startups to big corporations. 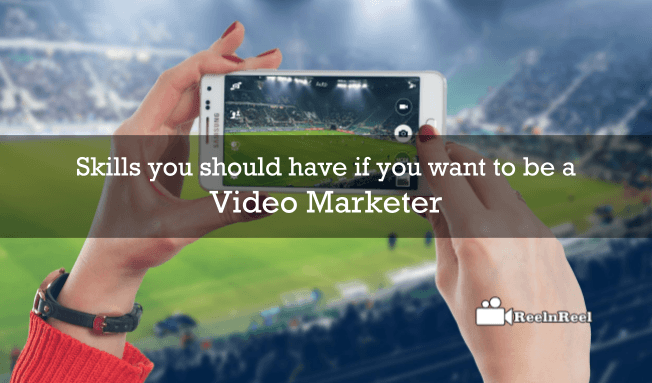 So, if you choose your career to become video marketers, you must need to develop specific skills which are highly required for the video marketing professionals. A video marketer must have the ability to analyse the market and the needs of the company to implement the necessary steps in their marketing. You must have the strong skills to analyse the market and competition in the market online. You must have the ability to understand the audience and consumer behaviours and must have the capability of determination of specific video style for the concerned client. So, you must have the analytics brain and must know everything about the videos and different types of ads and how they work for the companies to make them grow in market. It is the main skill that requires for a video marketer because the research is the main way to approach various marketing lessons and new trends in the present era. It requires a lot of patience and determination. You must have the ability to research the different websites, business, blogs, platforms and many other sources to make a new tactic for the marketing. If you have the above skill in researching the right things which are necessary for your market, then it is easy to approach with a new strategy implementation. Creation of new strategy is not an easy task, and it requires lots of focus on the market and need to know the main switch which can focus on the sales and growth of the client who was approached you for services. You must be a Data Scientist, in which you must have the ability to collect the necessary data and connect with the latest trends and have the ability to manage the CMS status. You must have the good skills in generating the unique and best content for your client. You must have the ability to balance the numbers and the analytical data. You must have the skill to obtain the data related to the depletion and growth of the company.